The quest to make your airport strolls as effortless as possible is an art that always has room for improvement. Whether you're striving to under-pack your suitcase (in case of a random TSA search) or looking for the perfect hands-free bag to have your passport and boarding pass always ready, there are a million little details that can quickly turn an airport visit from tolerable to nightmarish. Which brings us to a very important topic: airport-friendly shoes. We probably know by now to avoid the obvious. Five-inch stilettos, laced knee-high boots, or strappy sandals are all disastrous in their own ways: impossible to walk in, impossible to take off, and impossible to keep you warm. But here's the clincher: We think the most airport-friendly shoes all depend on one simple question: Do you have TSA-PreCheck? Hear us out. If you have TSA-PreCheck, you don't have to worry about removing your shoes—you only need to make sure they won't ring through security. If you don't have TSA-PreCheck, the no metal rule is irrelevant, but you want to be able to take your shoes off easily. Of course, you'll want your shoes to also be comfortable, but this simple rule can help you pick the perfect footwear, whether you're heading on a 14-hour flight, walking into a boardroom upon arrival, or landing in a tropical beach vacation destination. To prove our point, here are 10 airport-friendly shoes that follow this one handy rule. 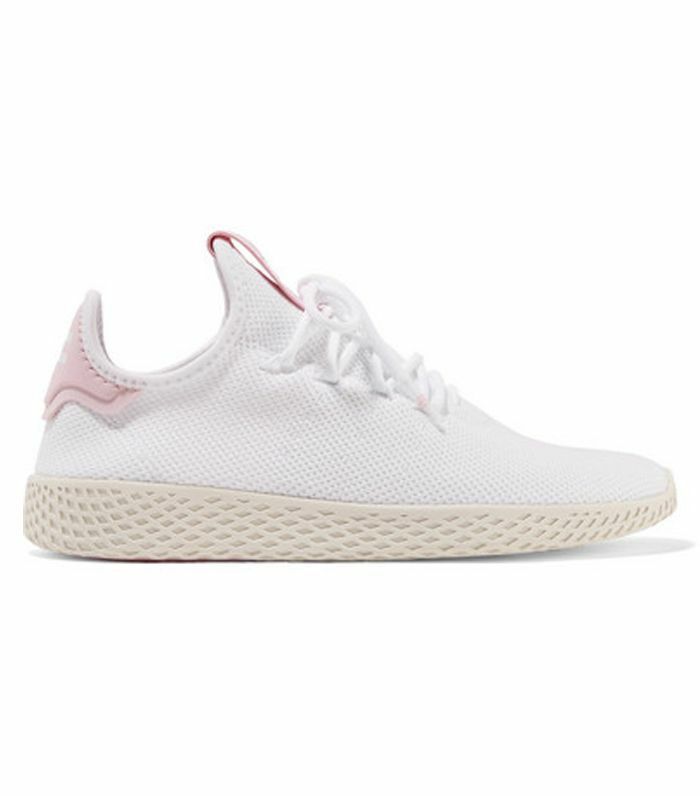 Glide through the airport in these sleek and ultra-comfortable sneakers by Adidas and Pharrell Williams. Available in sizes 5 to 11. 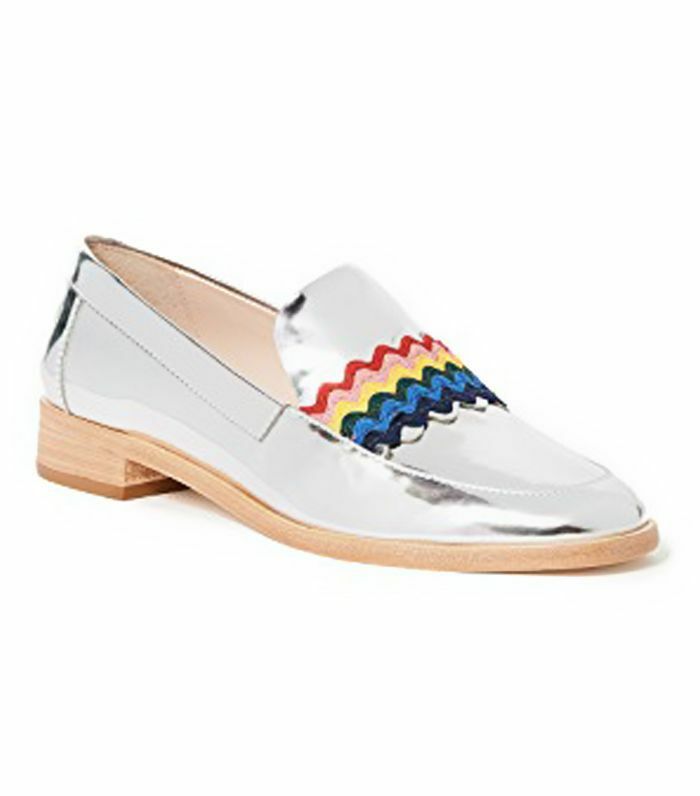 Add a little edge to a pair of classic loafers with these Loeffler Randall ricrac silver loafers. Available in sizes 5 to 11.5. 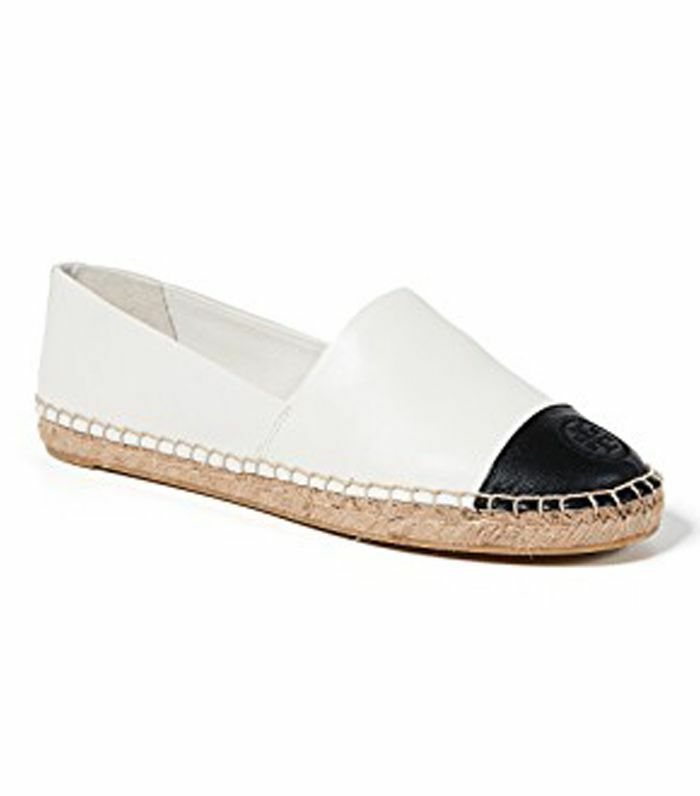 These sleek and comfortable espadrilles will get you to your destination with ease. 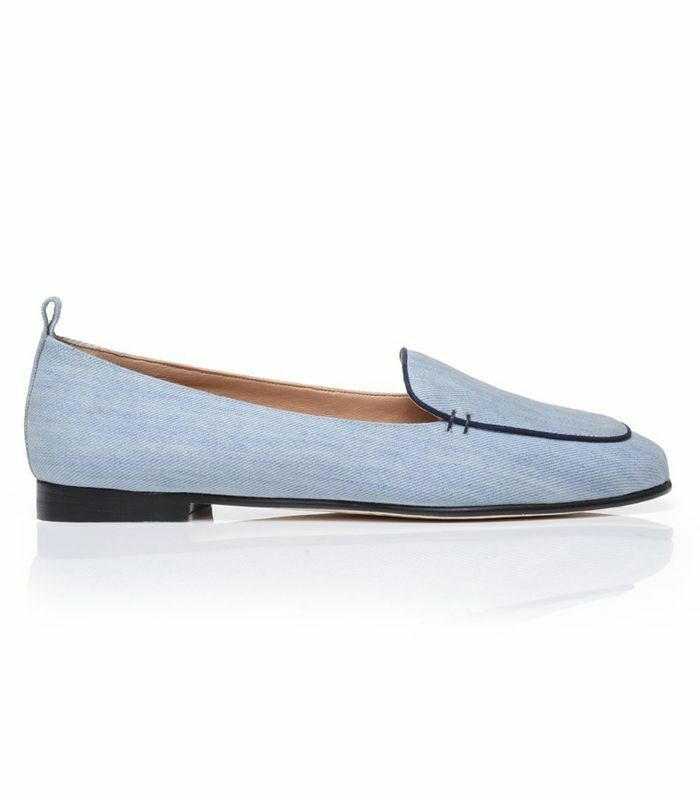 Opt for a classic loafer that will take you from a flight to the boardroom like these denim cruise loafers from Dear Frances. Available in sizes 35 to 41. 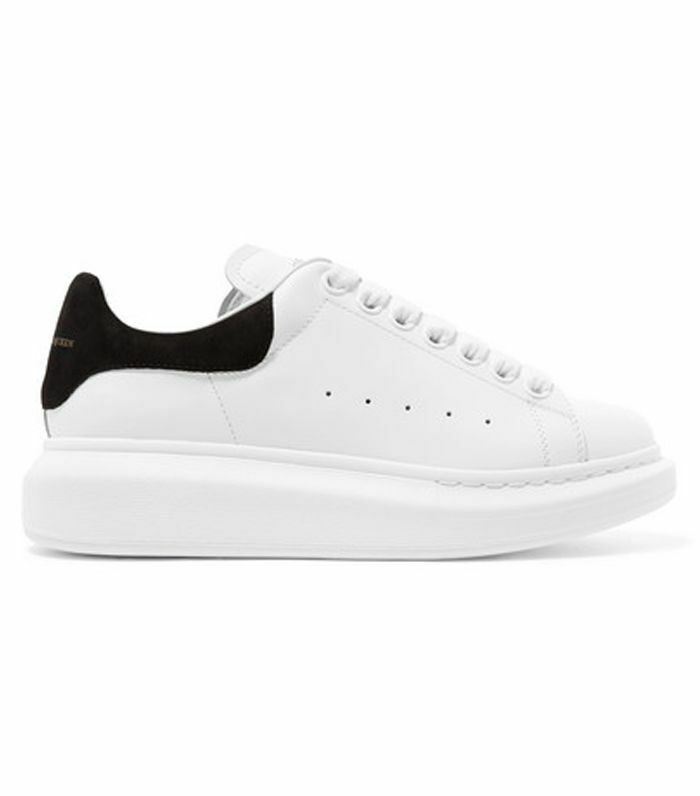 Feel like you're walking on air in these Alexander McQueen exaggerated-sole sneakers. Available in sizes IT35 to IT41. These backless sneakers are genius if you want to get through TSA easily. Available in sizes IT35 to IT42. 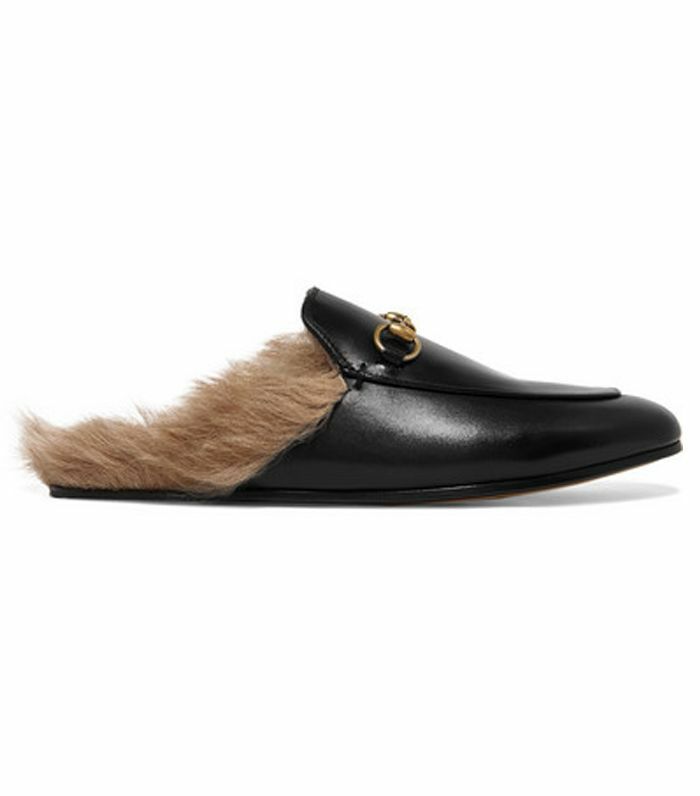 This chic backless loafer can be taken on an off with ease. 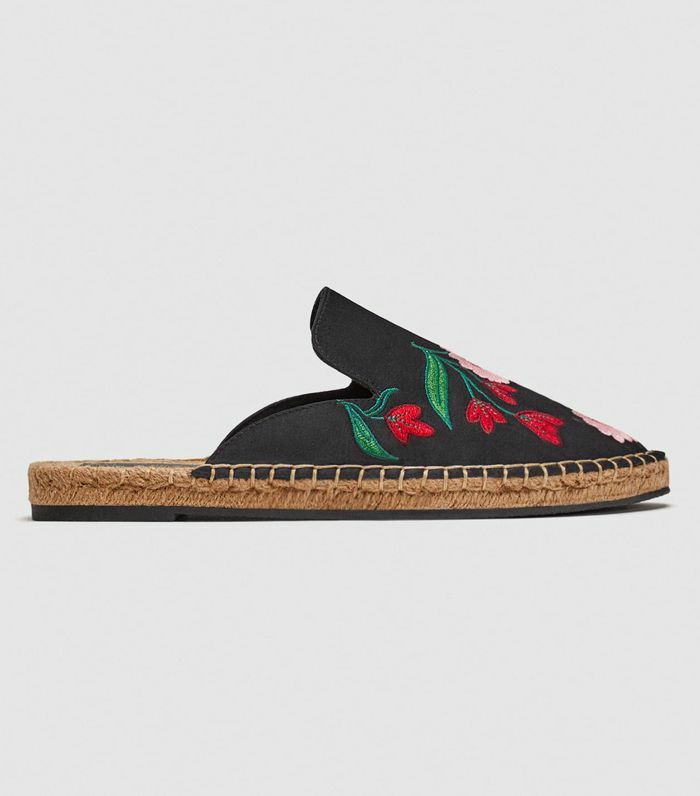 Get to destination effortlessly with these elegant embroidered jute mules from Zara. 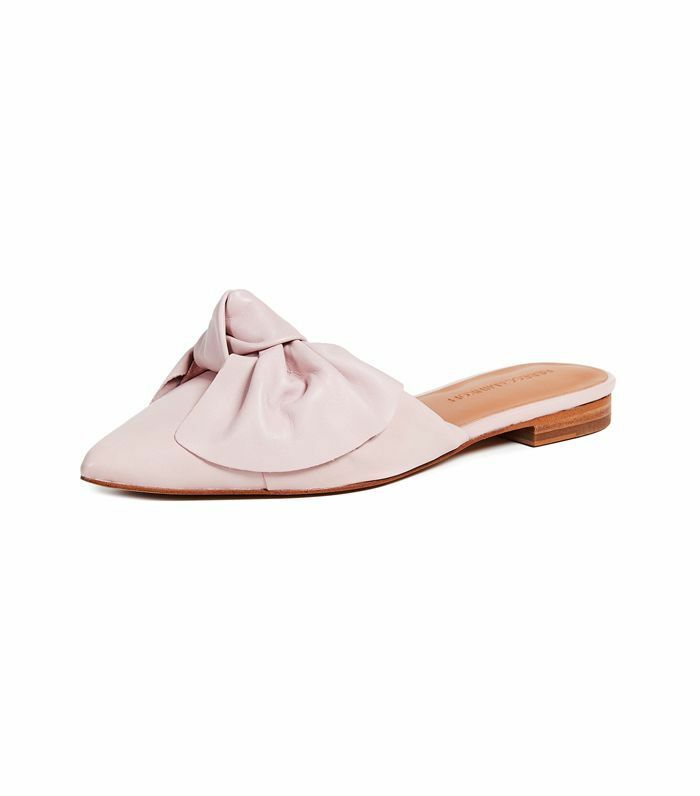 Step out of the plane and into a meeting with these sleek pointed-toe bow flats from Rebecca Minkoff. If you're going to be taking your shoes off at TSA anyway, may as well indulge in a little metal (and fur), for ultimate comfort on your flight. Next up: Nine surprising items TSA will confiscate at the airport. 10 Ways to Get Your Boss to Notice (and Promote) You!